As the summer season comes to a close, temperatures slowly become cooler and there isn’t usually a lot of news coming from the automobile industry – especially from exotic car service providers and manufacturers. 2018 will not only see a significant change in that trend, but there could also be some groundbreaking moves made in the world of European luxury cars. Since the founding of electronic vehicle (EV) company Tesla, the brand has basically dominated a large part of the niche market. 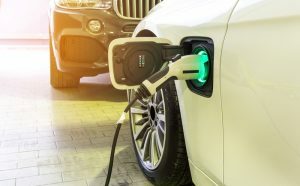 European auto manufacturers Mercedes, BMW, Audi and Volvo all plan to reveal new EV’s of their own sometime this September 2018, in an attempt to disrupt Tesla’s stronghold in the near future. Mercedes-Benz first announced that it would enter the EV arena at the Paris Motor show in 2016. The Mercedes Benz EQC will be the first of its kind in the brand’s line of battery-powered vehicles. EQ is short for electronic intelligence. The manufacturer plans to add a total of 10 different EV’s to their EQ line by 2025. Not to be outdone by their European luxury auto rivals, BMW also revealed plans to release an EV of its own in 2021. There isn’t much information yet about the new Vision iNext, except that it will be “fully electric and highly automated.” The Bavarian manufacturer recently posted a teaser video on its company Facebook page. Audi could be the greenest addition to the EV game on this list. In addition to its environmentally friendly EV, Audi plans to utilize a carbon neutral manufacturing process, with the assembly being powered almost entirely with renewable energy. The manufacturer claims that they will use 400,000 square feet of solar panels for the production of the European luxury SUV in Brussels. The 360c from Volvo will be a fully electric European luxury car that might feature the most automation out of any on this list. Initial company videos preview a coffee maker inside the vehicle itself, which is quite unique. This is some exciting news for fans of exotic European luxury vehicles and those of us who strive to become as environmentally friendly as possible. The future of the luxury EV industry looks like a promising and bright one. If these new models are successful, there will likely be more of their kind to follow as the industry progresses. Otto’s European, we have two decades of experience with these high-end machines, and we use diagnostic equipment directly recommended by the manufacturer. If you have any questions or would like to book an appointment, do not hesitate to give us a call today. We always offer discreet, respectful and timely service for your exotic auto repair needs.